Rated 5 out of 5 by Adna Hussein from Worth the investment! I bought Original Mini Top Clip Backpack - Nylon in olive colour and absolutely love it! And can't stop reaching for it ever since I purchased it in November. I'm really happy I got the mini its actually bigger than I expected and fit it fits so much stuff inside. Rated 5 out of 5 by Fifi from My Hunter backpack My new hunter backpack is fantastic it has lots of pockets and plenty of room inside.. 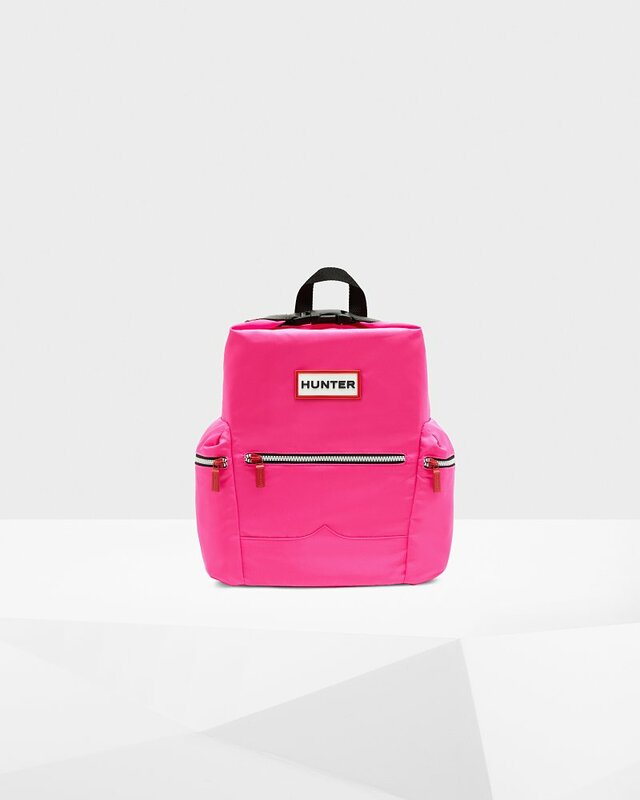 I ordered it in bright yellow to match my hunter wellies.. Rated 5 out of 5 by huihui from fancy colors I bought two different color bags at Black Friday due to i am struggling for a long time about the color. when i receive it, it's soooooooooo lovely, sooooooooo fancy. 100% recommended. Rated 5 out of 5 by Isabelle from Perfect for commuting! Bought this backpack for the size and it's absolutely perfect for my 15" laptop and lunch for walking to work. The colour is more like mustard, very chic and sophisticated. Rated 5 out of 5 by Bori12 from Good quality Bought the nylon backpack couple of weeks ago. Fast delivery and great product. Very comfortable, even better than I expected, thanks a lot! Rated 5 out of 5 by Lucile from Excellent compact back pack I bought this a few weeks ago and I'm really happy with it. Even though it's not too big (perfect for me as I'm not very tall) it can contain a lot and the extra pockets are really convenient. It is really confortable on the back.